President Philippe Li of FKCCI (French Chamber of Commerce and Industry in Korea) delivered a special speech at the "21st Century Business Forum" held in Kyobo Building in Gwanghwamun downtown Seoul on Nov. 21, 2005. Li serves as the chairman of France and Korea Chamber of Commerce and Industry (FKCCI). The forum was held at a restaurant on the second floor of the building at 7 p.m. on the day. Scores of business people were invited at the forum including President Kim Kyong-Hae of Communications Korea. At the forum FKCCI President Li deliver a speech on "understanding cultural difference between Korean and France and promoting bilateral trade." 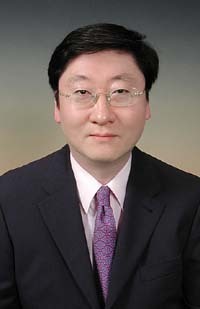 The forum was presided by lawyer Lee Seok-Yeon, co-chairman of the 21st Century Business Forum. The following were the contents of Li's speech. Began in the 70s: first air transportation between the two countries: Korean Air and Air France. Establishment of French banks in Korea and of Korea Exchange Bank in Paris. In 2004, for the first time, the trade between the two countries is worth over 5 billion Euros. Korean exports to France are over 3 billion Euros (50 percent increase in comparison with 2003) mainly due to the increase of exports / sales of electronics products. France is the 5th economic power in the world. France is the 2nd destination for foreign investments in the world (after China). France is the 4th exporter in the world. France is the 5th importer in the world. France is the 2nd exporter of military weapons in the world. France has the 5th country brand image in the world (Korea Industrial Policy Institute). France is the 4th foreign investor in Korea with investments totaling more than USD 6 billion. More than 170 French companies with a turnover of more than 7 billion Euros in 2004. French companies display a full range of industries and services and cover all fields (from foods to cars and from defense to luxury). France made more than 90 percent of its investments after the IMF crisis. Numerous French multinational companies are present on the market (Renault, Total, L'Oreal, Lafarge, Thales...) and Carrefour is the 1st foreign investor in Korea, investing over USD 1.3 billion. We can do much better . . .
Small and medium companies of both countries have a tremendous potential but have difficulties in making trade together (have limited means and resources and are far from each other). Korea has been designated as a top priority country by the French Government and the French Ministry of Foreign Trade. France is the 2nd foreign investor in Japan with a total amount of 12 billion Euros (more than two times the amount in Korea) and 670 companies (more than four times the number in Korea). Japan has invested USD 11 billion in France, while Korea has invested USD 830 million. There are 400 Japanese companies in France. Korea has to encourage trade: it is the best method to promote foreign investments. Groupe Seb Korea is a good example: Groupe Seb Korea started in the 80s with the sale of frying pans, made an investment and established a company in the 90s when the market was mature. Groupe Seb Korea did not give up in spite of many difficulties and is now a successful foreign investor (with a wide range of home appliances and not only frying pans). In order to promote trade and investment, it is crucial to promote Korea's image in other countries. The image of Korea in France has recently improved: the World Cup, electronic products, movies. Through its movies, Korea gained not only recognition in France, but demonstrated ORIGINALITY. Korea has to build on the French younger generation, who will be the decision-makers of tomorrow. Misunderstandings. For the large part, the reason is insufficient understanding and efforts to analyze the counterpart's objective. Relevancy. Avoid proposing something that the counterpart has no interest in. Deep research into the counterpart's motivation. Helps to build own strategy and objectives. Finding the relevant communication methods. Never forget that French and Korean people enjoy life and pleasure. Being flexible without losing strengths and values. Always be frank but never rude. French trade in Korea is mainly: aircraft, machinery, consumer products, chemicals, foodstuffs, electronic components. Korean trade in France is mainly: ships, electronics, automotive, components. - work together for the French and Korean markets (large but compact markets). - form alliances for the Chinese market. Their respective resources can be efficiently assembled together. Example of Hanglas and Samsung Atofina. Let's develop projects together . . .
France has great experience and know how in the leisure industry. Helps French people to enjoy their free time. Every year, 70 million tourists visit France (more than the French population). 1.5 million French people work for leisure industries. Annual revenue generated by leisure industries: 125 billion USD. Accor Group: 1010 hotels in France , 1300 hotels in other countries. In Korea, Novotel, Sofitel and Ibis hotels. France can inspire Korea and Korea may receive support from the French Government and companies. Sofitel Ambassador Hotel in Seoul.